It’s almost Valentine’s Day! 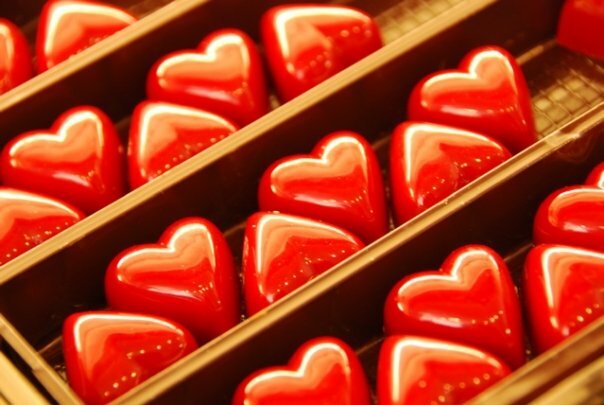 I love these Belgian heart chocolates, found in Brussels. This photo was taken by my friend Pooja. What will you get your special someone for Valentine’s Day? My aunt got my little baby cousin a very cute pink mini pocketbook with stuffed dog, sooo cute! wow. if i knew this person named pooja, i would suggest she quit her job and pursue professional photography, if she is not already doing so. can we get a pic of the pocketbook w the stuffed dog?